This recipe was half delicious and half dreadful. The dough was fantastic - supple, forgiving, sweet, no need to chill, in a word easy. The filling was savory, a mixture of eggs, cheeses and prosciutto and in my opinion, didn't go well with the sweetened dough. Not only that but the filling was so bland as to be nearly flavorless. No one else in my family liked it either so overall it gets my first thumbs down of this bake-along so far. 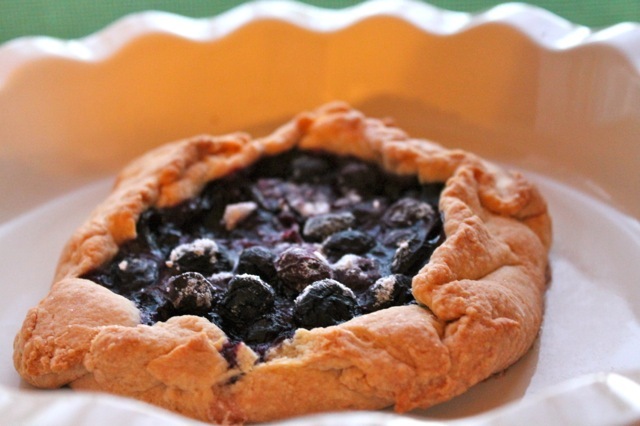 On the bright side, I had enough leftover dough to make a small blueberry crostata. I simply threw in some fresh berries, some sugar, some cream and a dusting of flour. 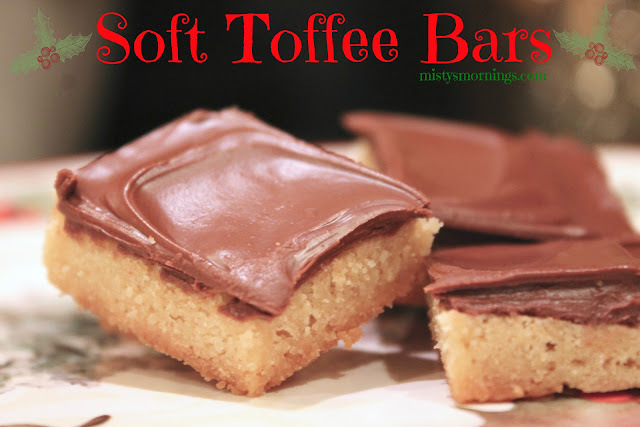 It turned out so delicious that I will use this dough recipe again for sweet desserts and skip the savory fillings. Find the recipe at our host's blog Capitol Region Dining. Looking forward already to the lemon loaf which is the next recipe from Baking With Julia due in two weeks. What a shame you didn't like it, the pictures are still amazing! Your pictures are fabulous. 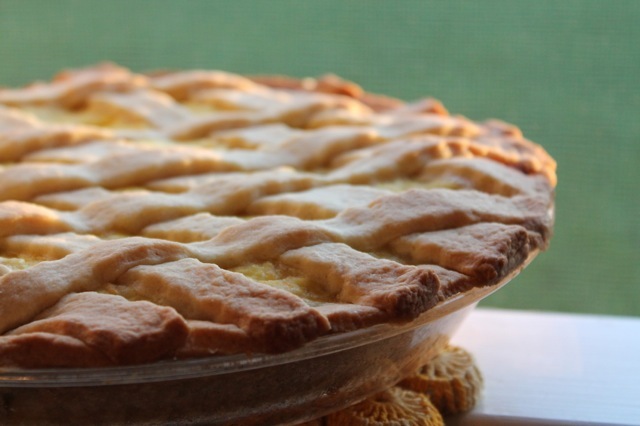 The crostata looks delicious! Sorry it wasn't a hit at your house. We liked it. I agree with you about the dough. I will be making that again. I'm thinking of making a lemon tart for Easter Sunday dinner. 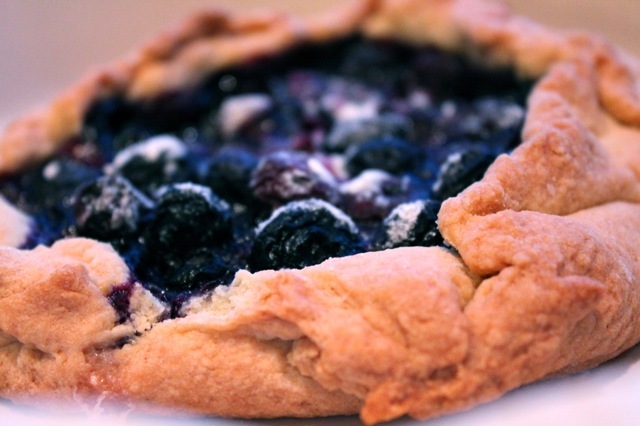 The blueberry crostata looks like a perfect use for the dough. Sorry the filling wasn't a huge hit for you. It looks pretty though. 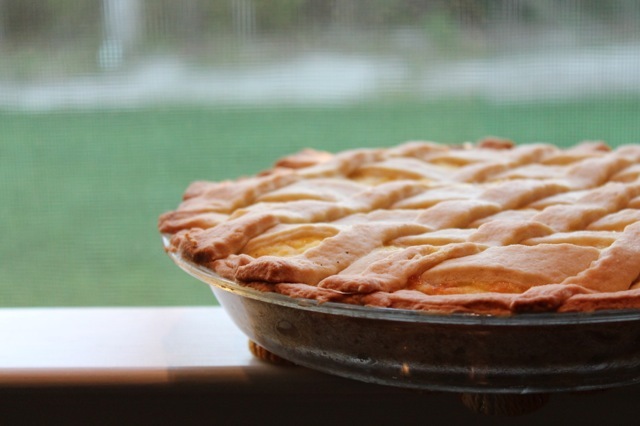 Really love your crostata idea. I agree that the dough was yummy. 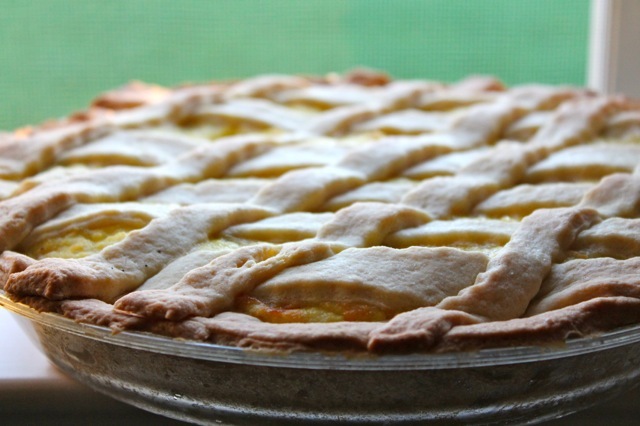 And how easy to make a crostata with it. Great idea! Pizza Rustica has about a million different recipes - some are sweet-crusted, some are not - some have a bread-based crust, some have a pastry crust. Mine has a non-sweet puff pastry crust, 5 kinds of cheese (including "basket cheese", a nice fresh unsalted cheese) and four kinds of meats. That being said, I have enjoyed everything I've tried from Baking with Julia. The braided danish has to be one of my all-time favorites!